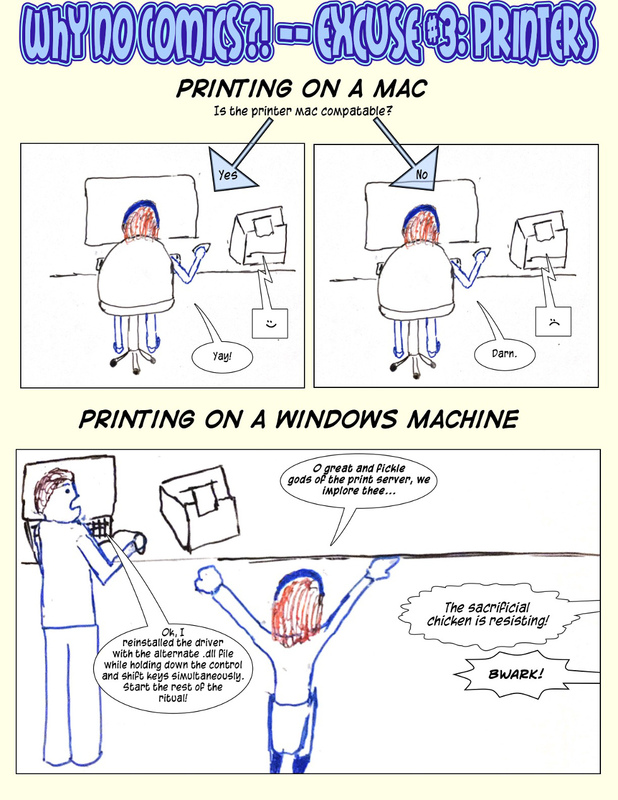 We have exactly one Windows machine at the office, and it's the bane of my existence. Macs don't always work with peripherals, but at least they don't waste my time about it. 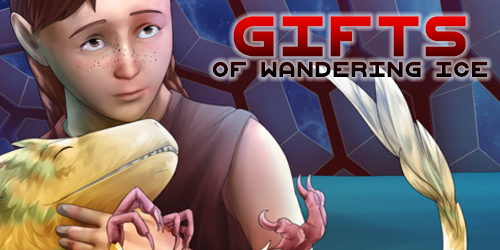 SpiderForest's comic of the week event is wrapping up, with one encore comic! There was a mistake in the link to Gifts of Wandering Ice, meaning many people (including me) posted a broken link... and we didn't figure it out until the week was almost over. So here's a second chance at this lovely hopeful post-apocolyptic comic, translated by the creator from the original Russian. 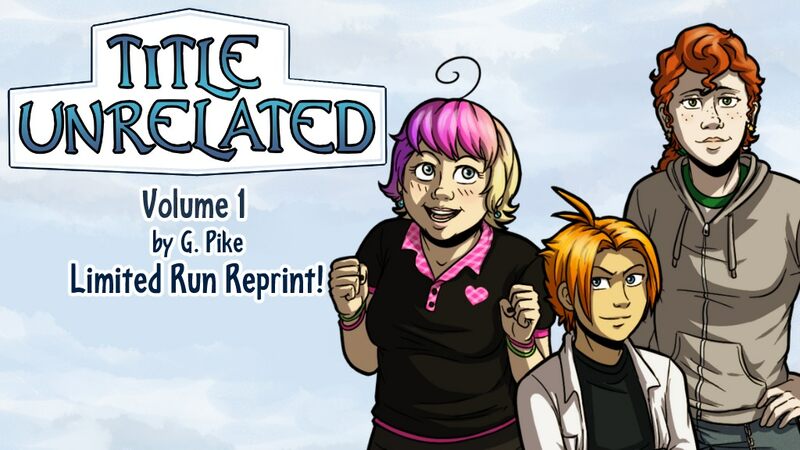 In other news, my collectivemate G is holding a short Kickstarter for the first volume of their comic, Title Unrelated! This is a fab door-in-the-hedge comic about found family, gender identity, and the consequences of cross-world colonialism. If you're unfamiliar, you should check it out!